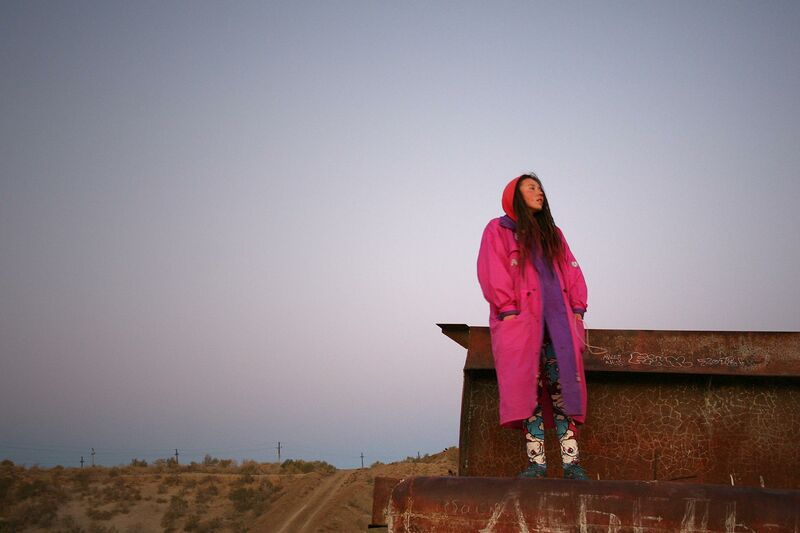 It is difficult to conjure up a more unlikely location for an electronic music festival than Moynaq—a sleepy former fishing town perched on the shores of the dried up Aral Sea in a remote region of Karakalpakstan, an autonomous republic in Uzbekistan. Moynaq is hardly a happy place these days having turned from a bustling port city situated on a peninsula in the Aral Sea into a sand swept town at the end of a rapidly disintegrating road to nowhere. 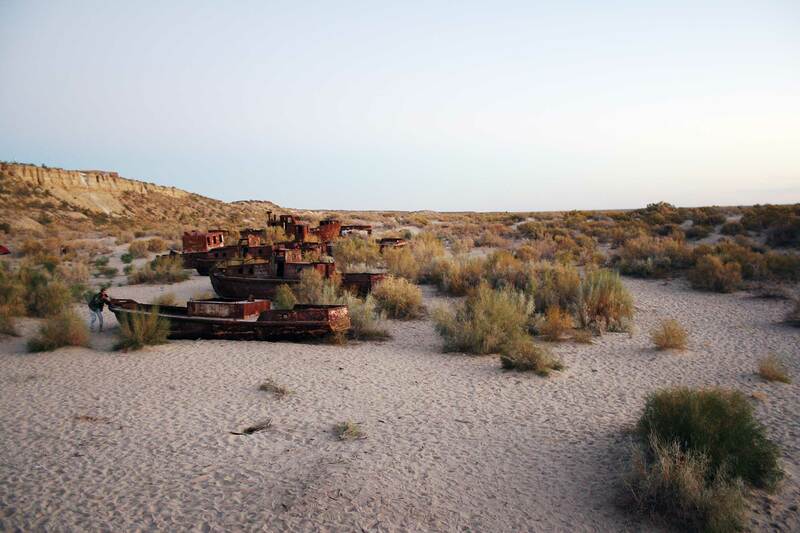 Soviet-era irrigation policies intended to support the cotton industry depleted the local water supply, turning the Aral Sea into one of the world’s worst environmental disasters. Yet it is precisely in these desolate surroundings that Uzbekistan’s first ever electronic music festival took place. Bearing the name Stihia, which roughly translates as “force of nature” or “the elements” in Russian, the festival was conceived as an experimental attempt at bringing electronic music out of the shadows in Uzbekistan and drawing attention to the Aral Sea catastrophe in the process. In the decades following the collapse of the Soviet Union, Uzbekistan emerged as a repressive dictatorship, policing everything from films to music. Uzbeкnavo, Uzbekistan’s now defunct music censorship body put a lid on any music that did not promote “the cultural and moral heritage of the Uzbek people,” effectively banning performances by most artists who did not fall into the folk music category. These restrictions turned an entire generation of Uzbeks into bedroom DJs and musicians with no access to public venues. Yura, a photographer from Tashkent who also came out to the festival, explained the feeling of hopelessness and isolation shared by many young people growing up in the city. 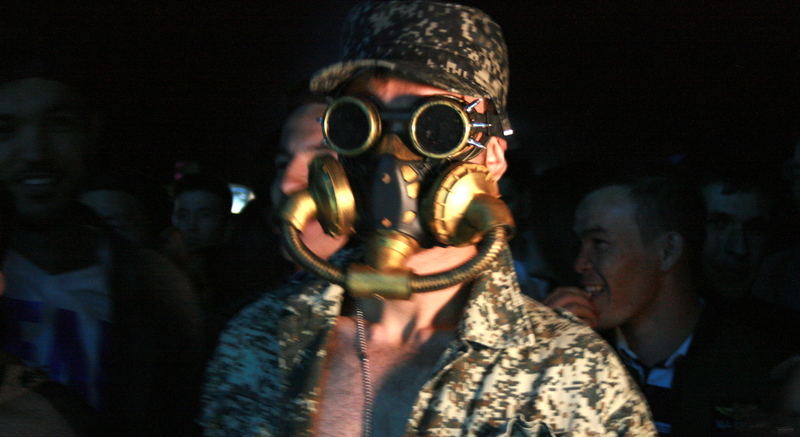 “Almaty is the party Mecca for the Tashkent in-crowd. If you want to listen to alternative or underground music and let loose, that’s where you go” he said. Indeed, whereas Almaty in neighboring Kazakhstan is making headlines with its vibrant underground music scene and Kyrgyzstan’s capital Bishkek is known for its fun nightlife, the electronic music scene is basically non-existent in Tashkent. 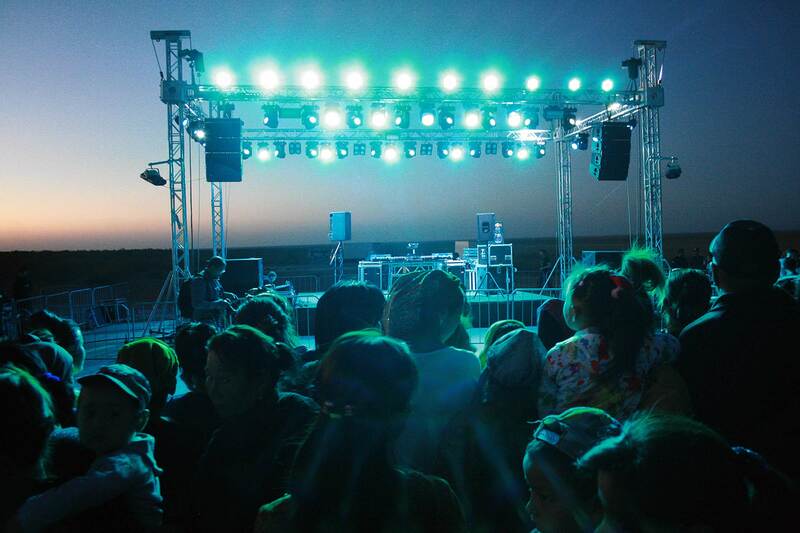 A successful lawyer by day and an aspiring DJ by night, Otabek Suleimanov was the driving force behind the Stihia festival as part of his ambitious vision of jumpstarting electronic music in Uzbekistan. While Otabek’s initial idea was to host a small vinyl spinning session in the outskirts of Tashkent, a recent road trip through the desert in California and Nevada inspired him to bring Stihia to the remote Aral Sea region. Seizing on the new government’s commitment to promoting tourism and pushing through reforms under current President Mirziyoyev, Otabek successfully lobbied the cabinet of ministers to green light the festival. Thanks in large part to his friendship with Nazira, the rising star of Kazakh electronic music, Otabek managed to get both ARMA17 resident Dasha Redkina and HVL—arguably Georgia’s most prolific music producer—on board. The day of the festival, most of the participants were brought to Moynaq in a caravan of white gas-powered buses from Nukus, the capital of Karakalpakstan and nearest major city. Escorted by police the entire 200km distance, the buses inched along slowly on a deserted road filled with cracks and potholes, taking four and a half hours to complete the journey. 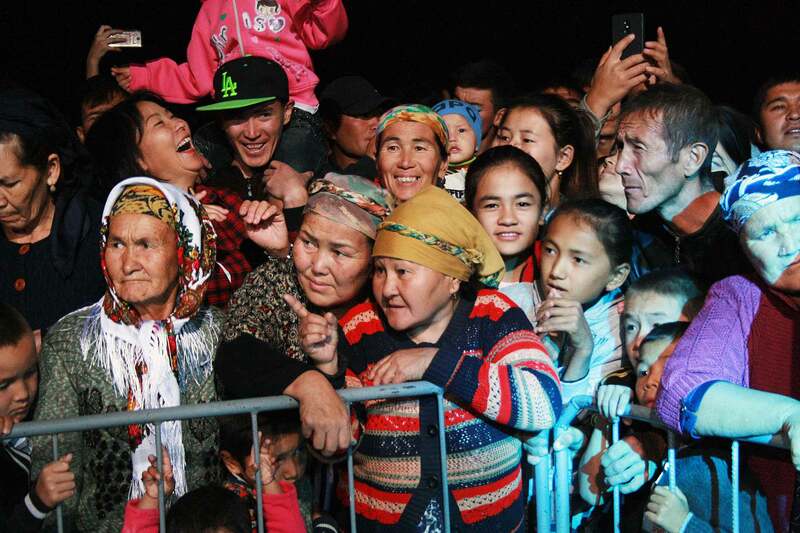 As the shuttle buses reached the end of the road at Moynaq, a huge crowd of local Karakalpak villagers had already congregated in front of the stage. Old women dressed in traditional garb, mothers holding their infants, giggling teenagers – all looked on with a mixture of curiosity and trepidation at the groups of young people, some in bright neon-colored clothing, some in full raver gear, made their way to the front. This bizarre culture clash resulted in a shaky start to the festival. Police and the Uzbek national guard cordoned off the ravers and photographers from the far larger crowd of locals, creating an unpleasant sense of segregation. Maria Breslavets, a Tashkent-based DJ started off the festival with some straightforward techno-house in an attempt to gauge the audience’s reaction. “This was my first time performing at a festival. In Tashkent, there are still no venues for the kind of music I play, so this is an amazing opportunity for me,” Maria explained after wrapping up her set. As the Moynaq Café, housed in the newly rebuilt lighthouse, struggled to keep the stream of beer and hot tea flowing for all the people flooding in, a local woman eating fried fish and watermelon shared her thoughts on the festival. “We’re all having lots of fun even though for us this is very strange. I’m not against it though – our town has never been so full of life! Who knows, maybe all this wild jumping and dancing can bring the water back one day. It sure feels like one big collective prayer,” she said laughing. HVL (a.k.a. Gigi Jikia), one of Georgia’s most famous electronic music producers who has played in Berghain and is a resident at Tbilisi’s iconic Bassiani nightclub, tried to keep warm in his hoodie as the desert night grew colder. “I’ve never been this far east and it feels absolutely surreal to play here,” Gigi admitted before coming onto the stage as one of the festival’s most anticipated headliners. Andrei Lee, one of the members of Interchain (covered by Telekom Electronic Beats here), a techno-punk duo based in Moscow, is originally from Tashkent, but hadn’t been back to the city since he left 12 years ago. “It’s crazy to see how much it’s changed since I’ve last been here. That this kind of festival is taking place here in Uzbekistan would have been unthinkable back in the day”. By the time Interchain came on stage, the crowd was ecstatic and the police had given up on trying to keep the locals and dancing ravers apart. The locals seemed to be really enjoying the music rather than just the spectacle, jumping up and down emphatically as the light show illuminated their smiling faces. In the middle of Interchain’s appropriately titled Russian language techno track “What’s Happening”, the festival ground to a sudden and unexpected halt. As the spectators looked on in disbelief, a hasty announcement was made signaling the end of the festival and inviting people to come back again next year. As it turns out, the head of the local administration, who had initially welcomed the festival, decided to abruptly pull the plug on the whole thing as he saw the festival turn into a massive and rambunctious party. The festival’s premature end was all the more frustrating since it came at a moment when the divide between the locals and guests appeared to finally dissipate. 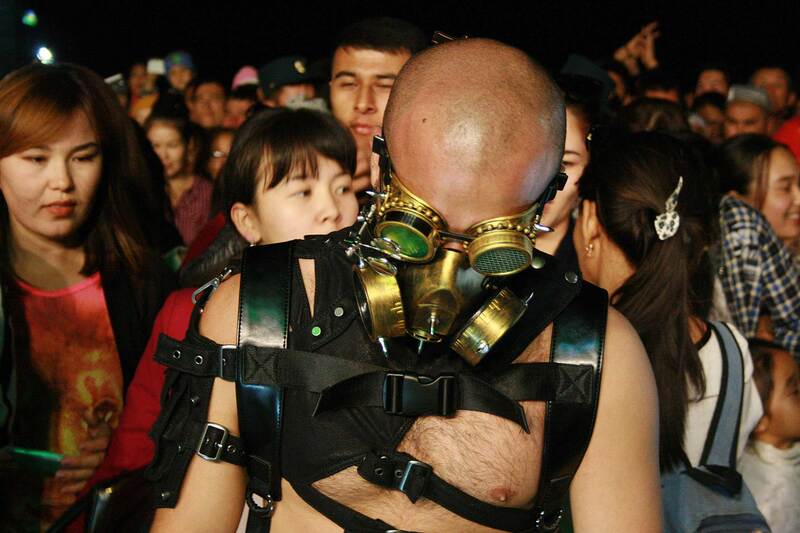 Yuri Khodzhaev, a Tashkent-based DJ who played a set under the name SHMN, tried to put things into perspective despite his visible frustration, “Their [officials’] first impulse is to always ban things that they don’t understand. But look at what actually happened. People were dancing, they were having a blast, stamping their feet in the dust, they didn’t care. That’s what matters most.” Having recently relocated to Tashkent after spending over a decade in Moscow, Yuri has already launched FRAGMENT, a series of pop-up electronic music events around the city that he hopes will help “break stereotypes about electronic music”. The fact that local authorities got cold feet is indicative of Uzbekistan’s current situation. There is talk of reform and liberalization, but in a country where any kind of public assembly has been restricted for so long, officials are conditioned to crack down on anything that deviates from the norm. 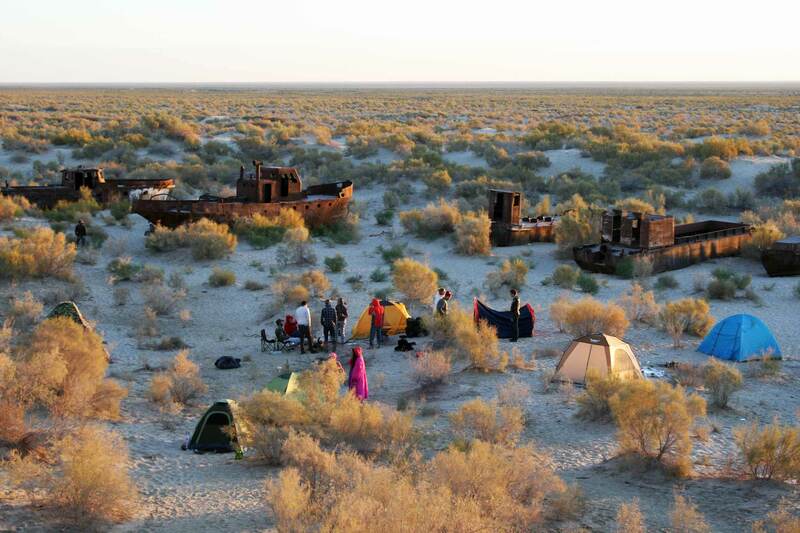 While many of the festival guests from neighboring Central Asian states expressed their dismay at Stihia’s early closure, most Tashkentites seemed to take the news in stride and reconvened around campfires in the shadows of the rusty ships moored in the sands. People did their best to keep the spirit of the festival alive, playing music through portable speakers, sharing stories and poems and eating cups of instant noodles. As the sun rose above the horizon in the early hours of the morning, someone climbed onto a rusty fishing boat and yelled “Stihia!” in the direction of a sea that is no longer there. Otabek, who invested so much time and money into the project, remains cautiously optimistic. His initiative called “The Faculty of Acoustics” aims to create a hub for contemporary music with workshops, seminars and guest lectures with both local and foreign artists and producers. “Look at the kind of scene they’ve managed to develop in Tbilisi, Georgia. Tashkent used to be the fourth biggest city in the Soviet Union—I’m confident we can change things around here as well”. The first iteration of Stihia may have fallen short of some people’s expectations, but it turned out to be a remarkably open and inclusive event that brought people together in a way that—until very recently—would have been almost impossible to imagine in Uzbekistan. That’s already an accomplishment in itself.